A June Mystery – Is It Near Or Far? Recently I rediscovered the following among my mother’s photograph collection. At previous viewings I had thought the image somewhat uninteresting but looking at it again I found it draws you in to check out the various things included, such as the sign posts, the buildings,the vehicles and trying to work out where the photographer was standing. Can you identify the Station? 70 years on, would you like to submit a current photo for this scene? Maybe you can tell us more about this scene? 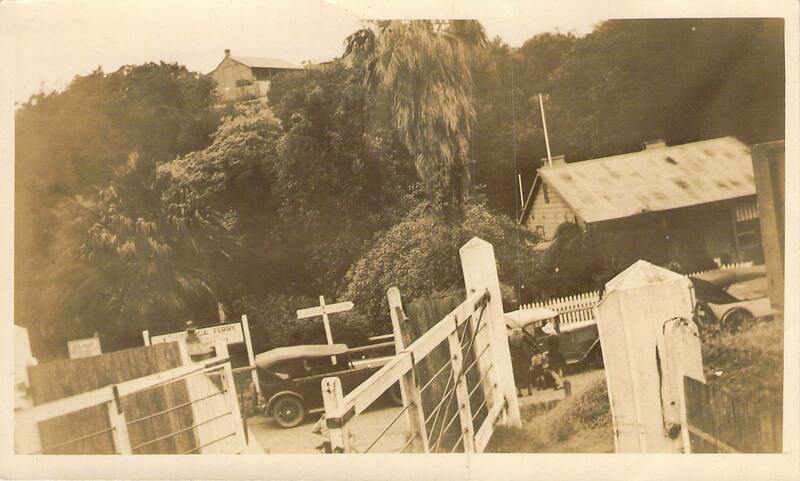 Hawkesbury River Station, the building in the foreground is still there.